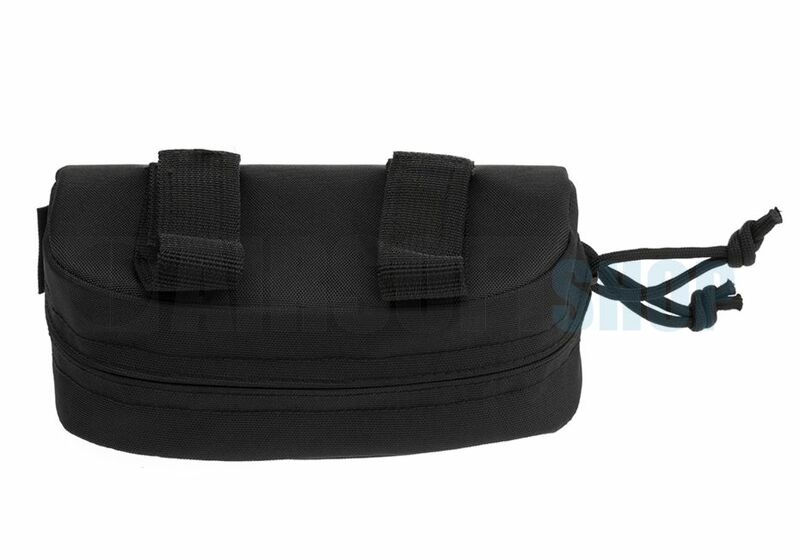 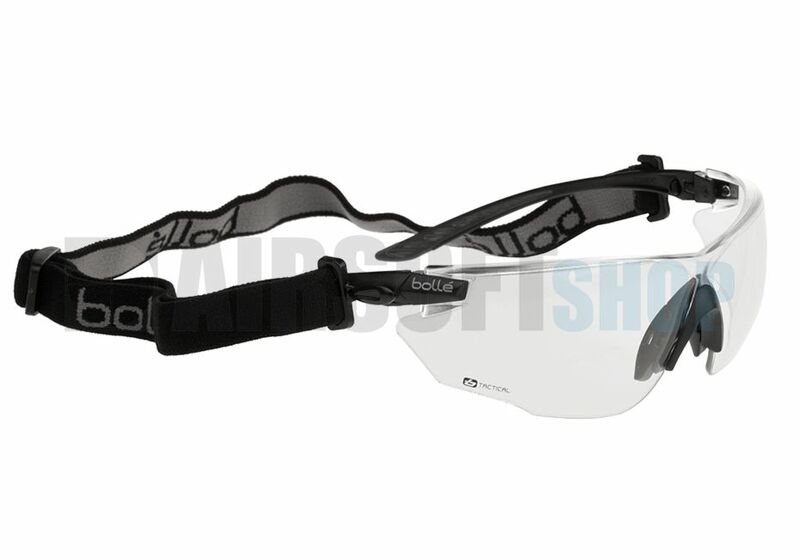 Bollé Tactical Combat Kit (Black). 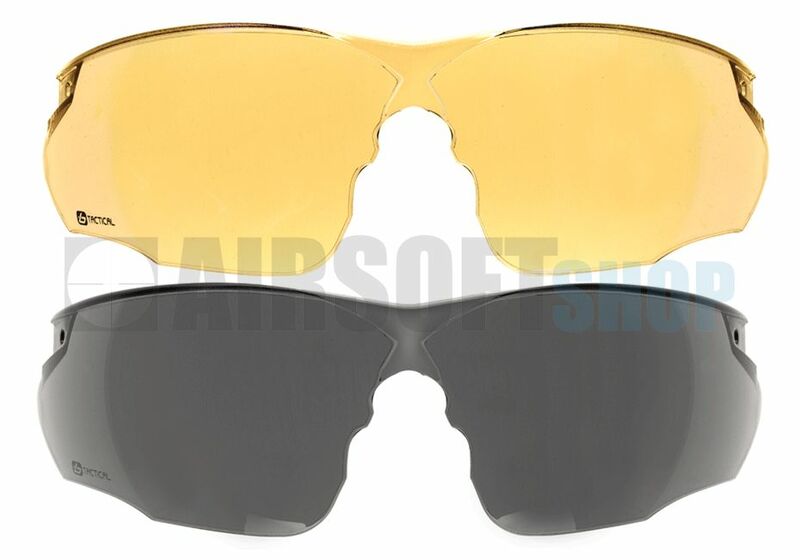 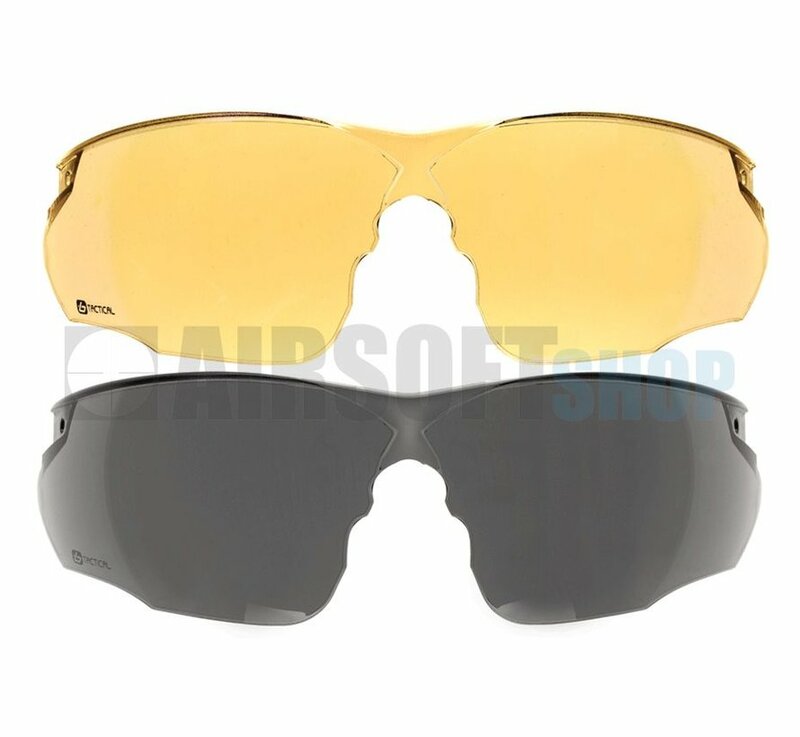 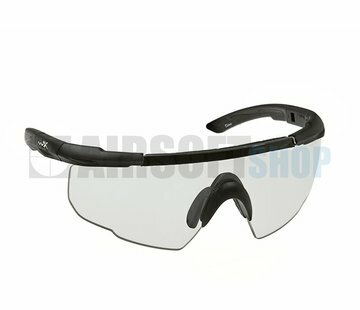 Newest generation of hybrid ballistic glasses, STANAG 4296, EN170 and EN172 certified, coated PLATINUM, COMBAT protective glasses provide unique adaptability thanks to their easy-to-change mono-lens in clear, smoke and ESP versions, and their dual temple/strap system (with or without foam). 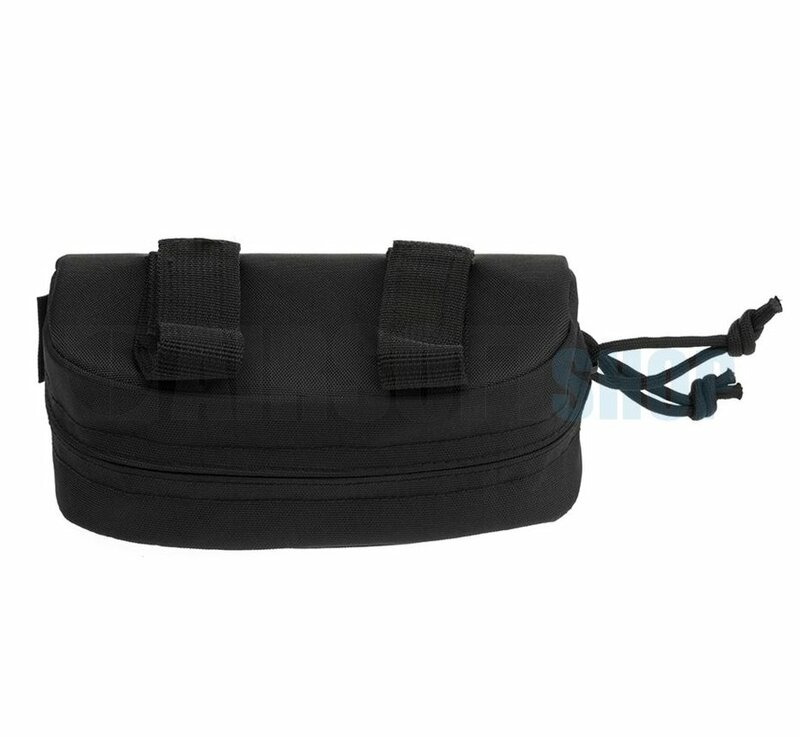 The COMBAT kit is supplied with a clear ballistic lens, 2 spare lenses (ESP and smoke), a strap and a soft carry case (tan or black according to the version).